Today's business is all about being green. From Walmart to Apple, everyone is talking about how green their approach, packaging, or methods are. But green business is really in its infancy, and the future of being green will no doubt distill down to some very real and definable goals and practices. In fact, businesses that today find themselves carrying the green banner will be put to the test to define their actions, and it must make sense to the soon to be green savvy public. So, what are some of these definable trends that will dictate the future of green business? Let's take a look. First up, businesses will find it harder to do business under the "Green" herald unless they hold themselves accountable to their own carbon footprint. 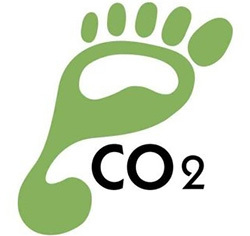 While today we can find a number of carbon footprint calculators, the net results tend to vary between sites. As time continues on, these results will merge together to a more cohesive reporting structure, and this is the measuring stick to which the company will report. A company's net carbon footprint may be as important to its success as its bottom line, since no doubt one could drive the other. This is especially true if it is a public company that is directly coupled to selling to the public. The voting by the green aware public will no doubt be done by the purse strings. SEMCOM Organized Green Business & Technology Fair on 6th & 7th February 2018 with an aim for creating awareness to use Eco- Friendly products, adapting green technologies & consuming organic Food items. The event was organized in association with Garam Kitli (Theme Partner). A total of 160 students participated in the event and represented 3 categories (Eco-friendly Products, Green Technologies & Organic Food Items). More than 100 variety of products, 15 Technologies and 40 food items were a part of this event. The event was open for all for 2 days. It was inaugurated by Vice Chancellor Dr. Shirish Kulkarni & Charutar Vidyamandal Hon. Secretary Dr. S G Patel. Arranging such events arouses and cultivates interest amongst the students to aspire their future career towards environment safety and prepare them as excellent leaders. The event was a grand success under the guidance of principal Dr.Waheeda Thomas & due to the endless efforts of the Vice President of the student’s council Dr. Preethi Luhana, coordinators of the competition Dr.Swaty Parab, Dr.Yogesh Patel, Ms. Hiral Patel, Dr. Jaymin Trivedi.